Opinion – What might have been a considered, consultative, superannuation policy process has yet again turned shambolic. We are back to super policy being a matter of announcement, followed by months of uncertainty and confusion, only to find the policy reversed by another announcement – starting the whole process again. Some background: Tony Abbott said there would be no changes to superannuation, despite the Tax White Paper process. When Malcolm Turnbull became PM he reportedly suspended work on the White Paper, though this was denied at the time. It was later announced that the White Paper process had been dropped in favour of simply announcing tax policy in the 2016 Budget. Was it any surprise then that some of the measures in the 2016 Budget elicited such a reaction? Before the details could be settled we rushed to an election, increasing the uncertainty. This is more egregious because the 2016 Budget said that penalties could be imposed for people who exceeded the, at the time unlegislated, $500,000 lifetime non-concessional contributions cap. 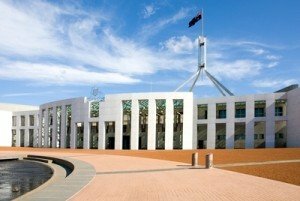 The Coalition expected people to make decisions on their superannuation before the end of the 2015/16 financial year based on an announcement, without legislation, during an election where there was considerable doubt which party would form Government. Now, months after the announcement, we find the policy has changed, again by announcement with limited detail. But in only a matter of weeks this “terrible” attack on older Australians turned into Government policy, when the Work Test repeal was dropped to make the figures add up on the changes that managed to get through the Coalition party room. There was much to be critical of in the superannuation policies announced in the 2016 Budget, not only the $500,000 lifetime non-concessional contributions cap. Some of these issues would only emerge as the brief announcements were turned into detailed legislation. However it appears that superannuation policy isn’t set by a considered process, but by a small number of Coalition backbenchers. This is a long way from the Tax White Paper process, and I don’t see how it can result in better policy. Yes, ‘Shambolic’ …… what a disgraceful way to try and promote people putting life savings into Superannuation!!!!! We all know that putting cash into Super is wise, yet why do we feel so uncertain about that process??? ?.